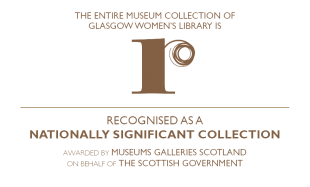 Our Board of Non-Executive Directors furthers the work of Glasgow Women’s Library by playing an active part in strategy development and the meeting of the our mission and aims. 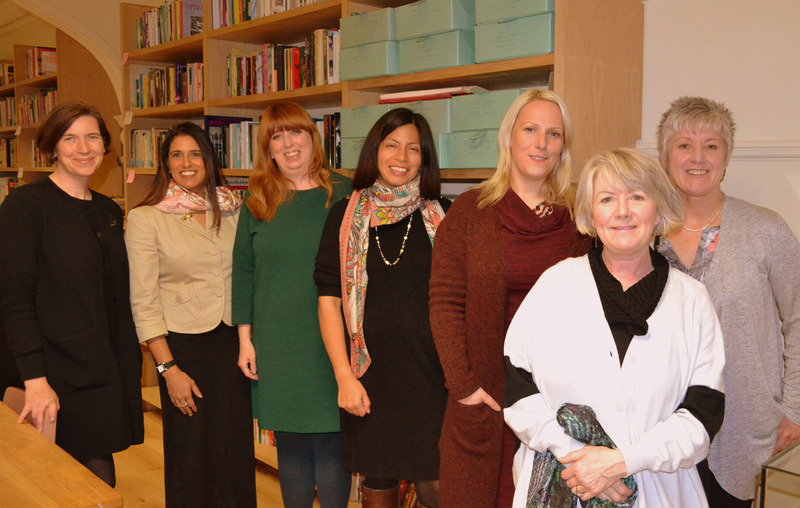 The GWL Board of Directors: (left to right) Jude Barber, Silka Patel, Zoe Strachan, Katherine Wainwright, Helen Anderson, Louisina Currie and Karen Birch. Zoë is an award-winning author of novels, short stories, plays and libretti. She co-convenes the prestigious Creative Writing Programme at University of Glasgow, and is particularly interested in cross-disciplinary working. She is passionate about promoting literacy and reading, and mentors new writers in a variety of contexts from community workshops to practice-based PhDs. Zoë’s work as a writer has taken her all over the world. She has been the recipient of international fellowships in the USA, France, Germany and New Zealand, as well as in the UK, and has also appeared at literary festivals in China, Canada, Hungary, Serbia, Czech Republic and Poland – not to mention all over Scotland! With a first degree is in Archaelogy and Philosophy, and through a position as UNESCO City of Literature Writer in Residence at the Museum of Scotland in Edinburgh, she has experience in designing and delivering education programmes based on museum collections and archives as well as producing interpretation materials for exhibitions. She believes that Glasgow Women’s Library has wonderful resource both in its collections and in the people with whom it works – members, volunteers, staff and friends – and that the work it does in enhancing women’s creative and cultural capital at local, national and international level is vital. Glasgow Women’s Library has been an inspiration to Zoë for a number of years. Her involvement began when she hosted the Women Writers Unite! series of events from 2009, and its collections and projects have directly prompted her to make new work: from ‘Strange Desires’, a story indebted to the lesbian pulp fiction of the 1950s to ‘Anyone Who Had a Heart’, a piece co-written with her partner Louise Welsh for 21 Revolutions. She is now looking forward to championing the Lesbian Archive of Great Britain. where she still works and lives. design flowers for various events and occasions. Having committed her life to running a business and raising a family of two daughters, horses, dogs and chickens, Louisina decided to apply to become a volunteer at Glasgow Women’s library in June 2014 to pursue her passion for reading, learning new things, meeting new people, and feminist endeavor. Over the years, she has been involved in many projects most notably the Suffragette March, Young Critics, a guide for Heritage Walks, and a volunteer film-maker for Ripples on the Pond and Speaking Volumes. Louisina is the first volunteer to become a member of the GWL board and this felt like a natural progression for her as she is committed to advancing the work of the library and privileged to be playing an active role in its future. Silka is a strategic marketing expert with 15+ years’ experience of working within the travel industry and global blue chip organisations Her current role, with Cisco, is to monitor market industry trends in Digital Technology and is skilled at using internal and external communication across traditional and digital media. Silka moved from London to Glasgow in 2008 and is the Founder of Scotland Women in Technology group (SWiT), where she actively works to attract, inspire, empower and retain women and young people into the sector by developing a community and network to help grow women’s contribution in IT business. She also leads the Women’s Group in Cisco Scotland with several initiatives and programs to develop the progression and collaboration of the Women’s community. Silka has been on the board of Glasgow Women’s Library since 2013, advising the board on marketing and digitalization aspects for future growth. Silka is married and has two boys aged 5 and 1 and enjoys running, pilates and cooking in her spare time. Helen has been Head of Scotland & Northern Ireland for international NGO WaterAid since August 2011. She has a global remit, championing strategic partnerships with the private, statutory and philanthropic sectors across Scotland and Northern Ireland and building engaging relationships that range from delivering financial support, to technical expertise, to driving attitude and behavioural change. She also leads on activities with the devolved Scottish parliament and Northern Ireland assembly, engaging parliamentarians and influencers with WaterAid’s vision of safe water and sanitation for everyone, everywhere by 2030. Helen has 20 years’ experience in arts fundraising and organisational development, holding positions in the cultural sector across Yorkshire and London. She has worked on several high-profile capital and revenue campaigns and is also an experienced coach and peer mentor. A common thread has been a belief in the extraordinary power of creativity and in the ability of individuals to effect transformational change. She has an M.A. in Russian/Theatre, an M.Phil. (research) in Slavonic Languages/Literatures, both from the University of Glasgow and is a Trustee of BaldyBane Theatre. Helen is also a Common Purpose graduate, spin enthusiast, lover of golden age detective fiction and sings in a Russian acappella choir. Karen is an entrepreneur with a wealth of experience in creating and supporting enterprise and is actively involved in many groups seeking to promote equality and diversity. Currently Managing Director at the3rdimagazine, an on-line publication championing women’s achievements, her career has spanned a multitude of high level positions, including: Director General of the Scottish Biomedical Association, consultant to Scottish Enterprise local agencies, advisor to Scottish Parliament on strategic e-commerce and various senior positions in entrepreneurial business start-ups. An experienced non-executive director, Karen has held positions with Co-operative Development Scotland and Glasgow Women’s Aid and is currently a member of the BBC Trust Audience Council for Scotland. Karen has a degree in Zoology from Sheffield University and MBA from North Staffordshire University. She is a gallery artist and meditation teacher and recently completed a 400 mile walk around Scotland in aid of Breakthrough Breast Cancer. Katherine was brought up in a cross-cultural family in Aberdeenshire and has been living in Glasgow for 20 years. She is Head of Human Resources for Turning Point Scotland, which is a leading national social care charity providing services to adults with addictions, learning disabilities, autism, mental health issues, those involved in the criminal justice system and those who are homeless. She has been a senior manager for four Scottish and UK charities and social enterprises and has run her own consultancy. She is an experienced board member with a particular interest in social enterprise and community development, and much experience in operating effectively and efficiently in the third sector. Voluntary roles have included board member of Neilston Development Trust, supporter for the Breastfeeding Network, language tutor and chair of the Glasgow Good Information Group (accessible information). She currently sits on a UK pensions committee. A driving aim has been to work with others towards enabling and empowering the more vulnerable people with complex needs within our communities and to understand people as individuals with their own stories, realities and hopes for the future. Katherine has a Psychology degree and a post-graduate diploma in Human Resource Management and is chartered in her field. She has more recently undertaken development in mediation, conflict management and organisational resilience. In addition to parenting her 4 children, Katherine is a keen distance runner and a community running coach. She also enjoys reading and can be often be found in quiet corners of a library. Jude Barber is an architect and director at the Collective Architecture. The employee owned and controlled studio has offices in both Glasgow and Edinburgh specialising in arts and culture, housing, shared community facilities and conservation. Projects include the Briggait Creation Centre for WASPS, The Red Tree Business Centre for Clyde Gateway and the Glasgow Women’s Library’s new home in Bridgeton. In parallel with her studio practice, Jude has undertaken a number of close collaborations with local organisations, activists, artists and writers. She was co-director of the award-winning Empire Café with writer Louise Welsh during the 2014 Commonwealth Games, undertook a Crafts residency at Cove Park in 2015 and recently exhibited ‘The Better Days’ solo exhibition at the Briggait Gallery Spaces, Glasgow during the 2016 Archi-Fringe programme. Jude previously worked with Reiach and Hall Architects and Malcolm Fraser Architects in Edinburgh, Dominique Perrault Architects in Paris and was a founding member of GLAS Co-operative (Glasgow Letters on Architecture and Space). She has also taught part time at various Schools of Architecture, has written for a number of architectural publications and is Convenor of the Saltire Society Housing Design Awards.